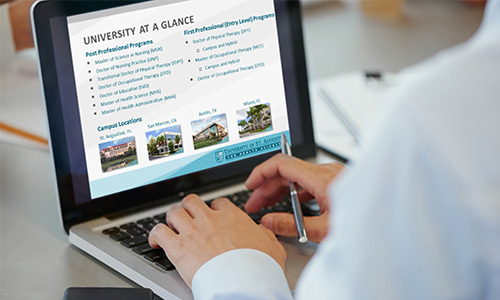 Join us online for a Virtual Information Session to learn more about the University of St. Augustine’s Occupational Therapy programs. Click on the link above to register for the information session. If you have any questions, please contact an enrollment advisor. We look forward to speaking with you! Complete the form below to register for this or future virtual information sessions and get a jump start on your application for admissions to one of the USAHS Occupational Therapy programs!